Once upon a time, when a big, traditional house published a book, the author just sat back and relaxed while the publisher did all the marketing and sales promotion. 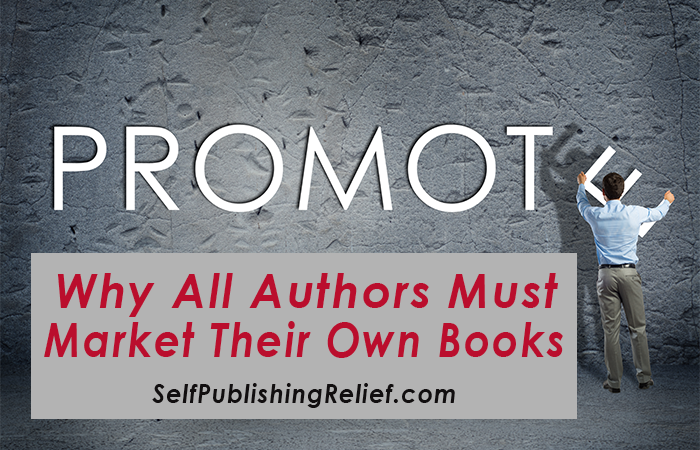 Today’s authors, whether self-published or published through a traditional house, must do the bulk of their own marketing and promotion if they want their book to sell. While self-published authors know this all too well, many traditionally published authors are surprised to find that their publishers aren’t going to take care of everything when it comes to marketing their books. Traditional publishing has changed in recent years. With the rise of self-publishing, there are many more new books competing for the same audience—more than a million new titles are released each year! Most publishing houses are now short on time, money, and staff. Their marketing personnel are often overworked, and they generally put the bulk of their resources into A-list authors. For the rest of their lesser-known authors, traditional publishers basically hope their books will find an audience simply by being available in a store. If you’re traditionally published, you’ll find most publishing houses will prepare basic promotional materials and include your book in their catalogs, websites, and ads; they may send out review copies, show your book at conventions, and provide rudimentary information about your book to online bookstores and wholesalers. Many use social media and distribute press releases as well. If you’re lucky, they might schedule a book tour. But if your book isn’t an instant success, you may notice the marketing support dropping off fast. No matter how you publish, the fact remains that no one knows your novel like you do. No one is as passionate about your work as you are, and it’s your reputation and career that are on the line. Ultimately, the success of your book is up to you. Whether you’re self-published or traditionally published, lay the groundwork with a solid author platform and a plan for your own promotional goals and ideas. Cross-market using your social media to build your email list. Try to get local media coverage: TV, newspaper, and radio. And, of course, don’t overlook the importance of “word-of-mouth” and book reviews. 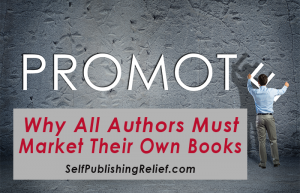 Writer’s Relief has been helping writers get their books into the hands of literary agents for over twenty years, and Self-Publishing Relief helps writers navigate the self-publishing process. Because, whether your publishing story starts with a traditional house or with self-publishing, we want to help you find your happy ending. QUESTION: What have you found to be the most difficult part of self-marketing? I need a literary agent! Thanks for keeping this novice informed. Great information. My book has been published by a publisher. I read your article…What can you do, or what do you do to promote my book….What’s your fee? This information is extremely helpful as I was under some of the misconceptions about marketing and promoting my upcoming book of poetry. I will take this information to heart in the coming weeks and months before and after publication. Thank you. It is very informative and suggestive on the inside facts of modern publishing and marketing industry. No doubt authors have to face great strain in promoting and marketing their books, taking away their valuable time which could have been consumed in in creativity. Pearl, Unfortunately we are not a promotional service. Gone are the days of just being an author. You have to be an author, have an eye for graphic design and a passion for marketing. That’s how your book is going to succeed! As a still-working senior, I am limited in the ability to do much of my own promotion. I don’t want to pay a sizeable amount to put a book in print to sit on a shelf. There seems to be no other alternative, but to let the manuscripts go to the round file. Thank you. D.D.H.